Stretching out for miles along the pristine South Carolina coast, Myrtle Beach is the premier family vacation destination! With its sprawling miles of beautiful sandy beaches and seemingly limitless options for dining, shopping, and entertainment, Myrtle Beach has proven to be a premier family destination for decades. A vacation along the Grand Strand typically guarantees hot, sunny days in the Summer and mild temperatures in the Winter, but no matter what time of year you choose to visit, a lifetime of memories is sure to be made. That's what keeps families coming back to Myrtle Beach year-after-year: the joy and excitement of an invigorating family vacation. Even among a coastline dotted with numerous hotels and condominiums, the properties of Beach Vacations stand out from the rest. Whether you are looking for a cozy one-bedroom condo near the beach for your getaway or a deluxe five-bedroom oceanfront villa for the entire family, we stand ready to meet the needs and desires of your vacation. Combining the expertise of our knowledgeable staff with our extensive list of properties stretching from the south end of Myrtle Beach all the way up through the beach communities of North Myrtle Beach, we have the utmost confidence in finding the best and most affordable beach vacation for you! Great packages & special deals below brought to you by Beach Vacations. With more than 20 years of experience in managing rental properties along the Grand Strand, The Beach Vacations company has become a well-established member of the Myrtle Beach hospitality industry, managing more than 1,100 properties from Pawleys Island to North Myrtle Beach. 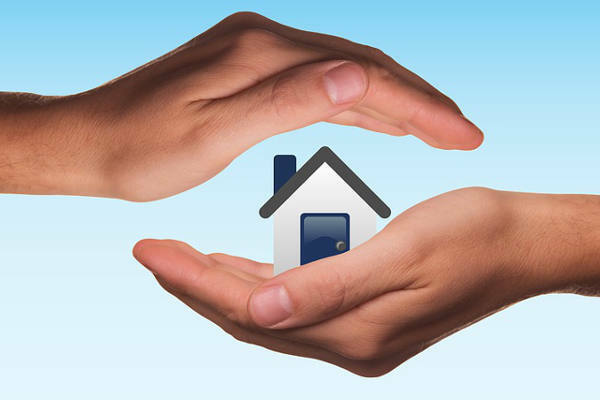 It is our ardent goal to ensure that everyone involved in the condo rental process is treated with dignity and respect, from our indispensable homeowners to our excited vacationers to our dedicated staff. When you reserve a Myrtle Beach vacation rental through Beach Vacations, you'll receive quality customer service and accommodations, leaving you with the same relaxing and memorable beach experiences that keep our guests coming back year after year. Whether you are looking to stay right on the beach or along the rolling hills of a golf resort, we have a wide variety of options that can fit every group type. Enjoy the beauty of the Atlantic Coast from your own private balcony, or take advantage of the relaxing serenity of our inland properties. Either way, you and your guests are sure to have an amazing time on your next Myrtle Beach vacation. See for yourself by booking a stay in one of our fabulous villas, where your beach getaway can become a reality. During your stay in Myrtle Beach, you are sure to never be bored. In fact, there are so many things to do along the Grand Strand that you might find yourself having to plan another trip in the near future! With the idyllic scenery of the Atlantic Ocean at your doorstep, relaxation and serenity await you every day. For the golf enthusiasts in your group, there is no finer place than the Golf Capital of the World to spend a day (or two!) on the greens. There are more than 80 local golf courses to choose from during your stay. When it comes to shopping, Myrtle Beach has you covered for epic retail adventures with two Tanger Outlet shopping centers, as well as hundreds of boutique stores scattered throughout locations including Market Common and Broadway at the Beach. If you're looking for live entertainment during your vacation, the toughest decision will be selecting the ones you have time to see. From dinner shows like Pirates Voyage and Medieval Times to musical performances at the Carolina Opry and House of Blues, there truly is something for everyone in your group. The Grand Strand also plays host to a number of exciting amusement and water parks including Family Kingdom and Myrtle Waves. All of these experiences can become irreplaceable memories with your next vacation with Beach Vacations! Looking for an awesome Myrtle Beach vacation experience? 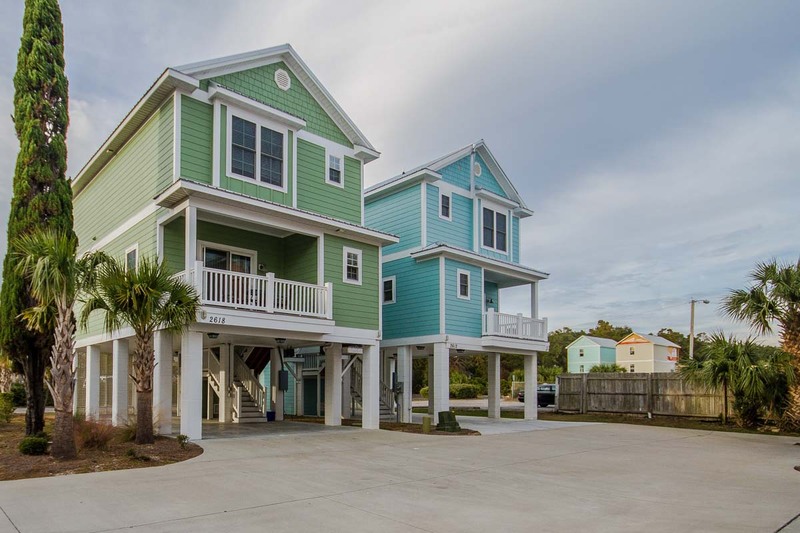 Check out all the great vacation rentals on the Grand Strand brought to you by Beach Vacations. With beautiful modern suites oceanfront in Myrtle Beach, the Meridian Plaza provides everything the modern Grand Strand traveler could desire! 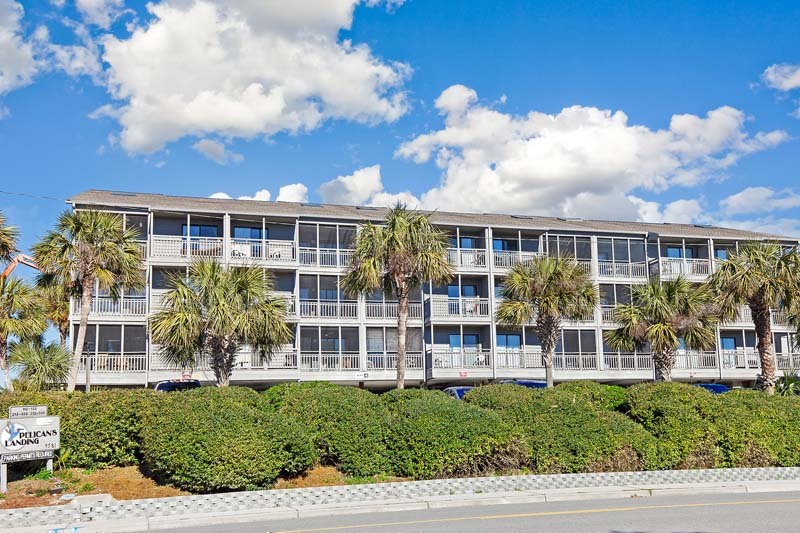 Meridian Plaza resides oceanfront in the heart of Myrtle Beach only a few blocks north of the Myrtle Beach Boardwalk and a short drive from the most popular Myrtle Beach attractions. These splendid oceanfront and oceanview suites provide sleek contemporary decor and standard conveniences like fully-equipped kitchens, cable television and complimentary high-speed wireless internet. With oceanfront and oceanview suites offering single king or dual double beds and sleeper sofas, couples or small families will be comfortably accommodated right along the breathtaking Myrtle Beach shoreline. In addition to the fantastic accommodations inside your oceanfront or oceanview suite, Meridian Plaza provides great resort amenities available during your stay. Our front desk staff is at your service 24/7, providing friendly and prompt assistance during your vacation. You and your guests can enjoy taking a refreshing dip in the sparkling oceanfront outdoor pool area, complete with plenty of comfy lounge seating for soaking up the sun. After a long day of Myrtle Beach fun, the whirlpool spa is perfect to soak and relax your muscles. Meridian Plaza also offers guests access to a fun-filled indoor pool area, ideal for those less-than-sunny days. When it's time to explore all the fun around Myrtle Beach, popular attractions like the Skywheel and the Myrtle Beach Boardwalk are within walking distance, with other destinations like Broadway at the Beach and the Market Common only a short drive away. Tremendous dining and shopping options are around every corner to cater to every taste and style. Whoever says that you can't have all just never enjoyed a stay with Meridian Plaza! 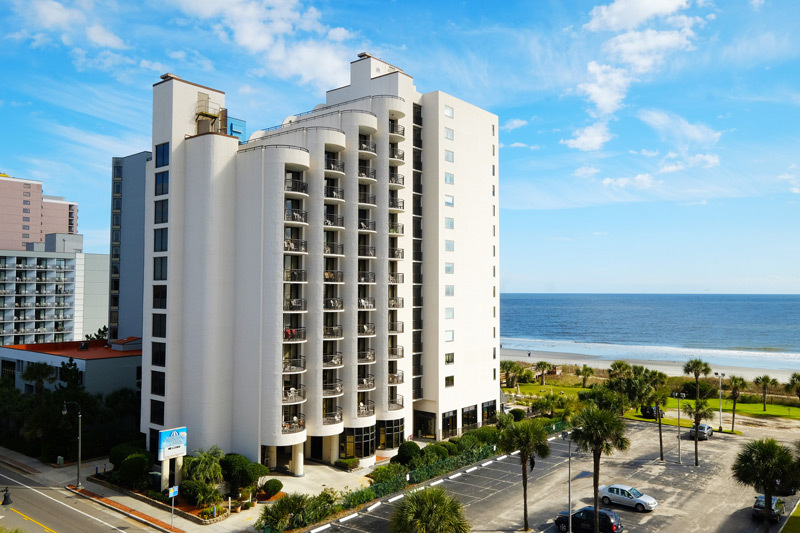 On your next Myrtle Beach vacation, experience total comfort, modern convenience and unbeatable oceanfront location with the rental suites of Meridian Plaza!